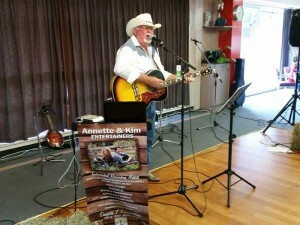 We had a fantastic weekend at the Marton Country Music Festival organized by Anne George and her local team. 20th -22nd January. The weather was changeable but that didn’t dampen the spirits of over 1000.00 country music fans, arriving in close to 400 mobile homes and caravans with a few hardier souls seating up tents. The weekend consisted of walk-ups and organized shows with invited guests. Friday nights Headliner was talented American country singer/ songwriter Beth Williams, supported by other NZ country artists,including Peter Frew, Phaidra Stokes, Jenni Smith, Carylann, Legal Tender, Toner Sisters. Saturday morning was chance for club members and country lovers to do walk ups.With Saturday afternoon featuring invited singers. The Saturday Night show was headlined by our very good friend and talented Australian Country singer/song writer Justin Standley.The night show was supported by the band Branded also featuring invited artists Lynn Crawford, Sean Pawson, Moll G Paige, Joy Adams, Craig Adams, Kylie Austin. Special thanks to the bands over the weekend for their hard yard and time its very much appreciated – Branded & Rimutaka Trail Band. Special thanks to the Club Hotel in Marton for having us for the weekend. To Tony & Kim Stewart thanks for your support guys. Great catching up with everyone, look forward to next time. It is with sadness that we farewell Anne George and her team we have enjoyed every festival that we have attended and we thank Anne for her support. We wish the new organizer all the very best for the continuation of the Marton Festival. Check out the photos from the 2017 festival…. We just don’t know where this year has gone. Here we are with Christmas just around the corner. We have had a great year and are looking forward to some exciting stuff in 2017. Before that though we have finished off the year with our last 2016 gigs at Whangarei RSA and the Kamo Club Dance Section. On November 4th we had a great evening at the RSA with a good turn out and everyone dancing the night away. On Wednesday the 7th December we played for the Kamo Club Dance Sections Christmas breakup. Again another good crowd turned out to dance and participate in the Xmas activities. We look forward to seeing everyone in 2017 and would like to thank the RSA and Kamo Club for their support. Also thank you everyone that has supported us during the year. We appreciate it very much. On the 4th of December we were guest artists at the Hibiscus CMC in Orewa. This was a fun day with a good crowd in attendance, approx. 200 people, to enjoy an afternoon of country music. It was also great to catch up with so many friends that we had not seen for quite a while. Thank you to the band for a fantastic job in backing not only us but all the singers that performed on the day. Also thank you to everyone that bought a cd or DVD on the day. We hope you enjoy them and we appreciate your support. We look forward to returning in 2017. Looking ahead to 2017 we have already got a number of people booked for our Norfolk Is Tour in May. As we have previously said this will be our 10th anniversary tour to the Country Music Festival and we have another fantastic week organised for our tour group. There are still places available so contact us if you would like to join us in 2017. We will once again be attending the Marton Country Music Festival in January, the Barham Stampede, NSW, Aust, in July and the inaugural Lockington Country Music Festival, Vic, Aust, in August. We will also be playing for the National Street Rod Association in Rotorua on the 22nd October, really looking forward to that one. Once again thank you to you all for supporting us in 2016. Enjoy your Christmas and New Year celebrations and stay safe. We will catch you in 2017. Take care and keep it Country. Best wishes and have a very merry Christmas and a happy New Year. On Monday the 26th September we flew out of Auckland headed for Adelaide. We arrived around 10am and were met by our Aussie dad, Dale, and also bumped into a few kiwis either heading for Mildura and the Country Music Festival where we would eventually be and some, who had been with us to Norfolk Island, that were heading for the Murray River and a week long cruise. The following day Dale, Annette and I drove down to see Alan and Maureen Webster in Milicent about 4 hours south of Adelaide. We had a great evening catching up and discussing future plans for our music. Wednesday saw us heading up to Mildura which is approx. 6 or 7 hour’s drive up through the out back as it were. It was a great trip up as we watched the storm clouds and lightning heading down the coast. It wasn’t until we reached Mildura that we found out all of Adelaide had lost its power. Twenty odd pylons had been bold over. Thankfully we were out of the place by then. However we had packed for temperatures around 40 degrees C and I don’t think it got above 14 the whole week. But it didn’t dampen our enthusiasm we were going to enjoy the festival no matter what. We were up early Thursday morning to sing at the walk ups . These commenced at 7:30am at the Gateway Tavern and were run by Wendy and Larry Woods of Country Horizons and what an excellent job they did keeping the singers ticking over while breakfast was enjoyed as well as the company of all the other performers. All the singers were backed by a wonderfully talented gentleman by the name of Brian Barker. Brian had spent most of his life as a professional musician an awesome guy and very humble, his rendition of Roy Orbison’s “Crying” was something to behold. It was a pleasure to perform with him. We made the walk ups for the remainder of the week. We had a great time and a number of people remembered fondly our good friend Graeme McCardle who used to run the walk ups. From Thursday until Sunday we spent our time catching up with all our friends that were performing in the festival at various venues around Mildura and Wentworth. The entertainment was full on and non stop and awesome. Some of the venues we managed to get to were; the Irymple Hotel with Sandra Humphries, this was dinner and show, Woodsies Gem Shop with Craig Giles and Owen Blundell. We also got to meet Woodsie himself who gave us a tour of his personal collection of gems. This is a must see for anyone attending the festival or just visiting Mildura on holiday. The Crown Hotel in Wentworth for “Country on the Darling”, yeah it was raining that day, Wentworth is where the Murray and Darling rivers meet. This was a show with a variety of singers performing and where we caught up with Anthony Stewart a good friend of Annette’s and the Kanara family. Anthony was playing bass in the backing band. Anthony and his family used to compete on the awards circuit back in New Zealand when he was growing up he now lives in Adelaide and runs his own recording studio. 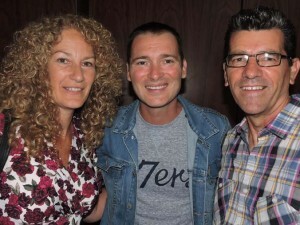 We were back at the Crown in the evening to see our good friend Justin Standley performing. What an incredible voice is all I can say. We also made it to Gol Gol Hotel for the Yodelling and Bluegrass Show hosted by Johana Hemara and featuring Dwayne Elix, Justin Standley, Pete Smith and Steve Passfield. This was a fantastic show. The Sunraysia Farmers Market to hear Kim Ritchie and Cameron Mason and spend a couple of dollars. On Friday evening we were invited by Col and Doreen Watson to the Borunga Riverside Caravan Park where they were staying for a BBQ and to do some entertaining to help raise funds for the Flying Doctors Service. We had a great evening with some entertaining people helping us out. Col and Doreen will be with us on Norfolk Island next year for the Country Music Festival so we look forward to that very much. On Saturday evening we attended “The Australian Independent Country Music Awards” hosted by Adam Harvey and David and Merrilyn Carter. This show was broadcast live nationwide throughout Australia by the Community Radio Network. A variety of artists from the festival performed during the evening as well as the very talented Felicity Urquhart, Adam and David and Merrilyn who did an amazing rendition of “What a Wonderful World”. 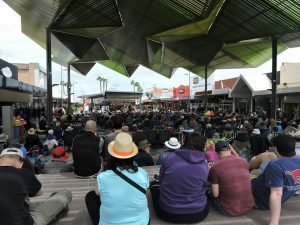 The whole festival was run exceptionally well by John Arnold and his team considering the state of the weather which hit South Australia and Victoria during the week. We totally recommend the Mildura Festival to any country music lovers looking for a great place to holiday and enjoy some fantastic country music. On Sunday morning following our last walk up we headed over to the mall to enjoy the gospel show before saying our goodbyes and heading back to Adelaide to spend some time with Dale and to chill out before heading home on Wednesday morning and back to reality. Yay. We definitely look forward to returning to Mildura in the future. Our next Aussie excursion will be to the Barham festival in July 2017 and to the Lockington Country Music Festival run by Roz and Craig Giles so we can’t wait for next year to roll around. It’s going to be a great one. 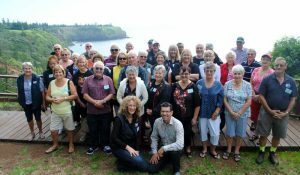 Don’t forget 2017 will also be our 10th anniversary tour to the Norfolk Island Country Music Festival. We are taking bookings now as we would like to secure seats on the first flight out of New Zealand so we don’t miss a moment of Norfolk Islands wonderful hospitality. Contact us now if you would like to join us on this beautiful Pacific Island for a week of music and mayhem. Since May we have played at gigs for the Kamo Club Dance Section and the Whangarei RSA during June and July and will be back at the RSA on the 23rd September with some new material so we look forward to seeing you all there for a great night. We will also be back at these two clubs in November and December so keep an eye on our facebook page and website for dates and times. On the 11th of August we had the privilege of performing at the Civic Honours award Ceremony. This year’s recipients were Rosemary Waters, Anthony Solomon, Stuart Clark and Jeff D’Arth. The awards recognise those citizens who by their personal leadership, inspiration, sacrifice or devotion to a cause, have made a significant contribution to the community. We had the honour of performing “Pearly Shell” for Tony Solomon and “Amazing Grace” for Stuart Clark and then provide listening music while recipients and their family and friends and invited guests had supper. You may have seen the write-ups in the local papers explaining each recipient’s contribution to the Whangarei District. It was an amazing experience to be a part of the awards. On the 10th of September we were guest artists at the 2ZH Country Music Clubs 25th birthday celebrations in Hawera along with Carylann Martin and The Legal Tender Band. The weekend celebrations commenced Friday night with a meet and greet and walk ups from past and present members including founding members Val and Ray Thurgood and Nancy Muller. Saturday was an early start for those that wanted to do more walk ups in the morning with an afternoon show made up of invited guests and club members. The evening show kicked off at 7:30 with more club singers leading into the guest artists. It was a great night and a great weekend. To finish the night off we invited all the muso’s back on stage and thrashed out a version of ‘Wagon Wheel” which went down a treat with the crowd. Thank you to Legal Tender (Carylann, Moira and Ian) the club band (Linsi, Terry, Johnny, Alan, Joe and David) awesome work on sound by Tui and Stage Management by Dennis. Thank you to Nancy and the committee for inviting us to perform we wish you all the best for the next 25 years. We are off to Aussie on the 26th September to check out the Mildura Country Music Festival and to catch up with our Aussie dad, Dale. We also hope to catch up with a number of the Aussie acts that will be performing during the week as we have worked with quite a few of them at the Barham Stampede. So it should be a great week of country music. We will also be attending the Independent Country Music Awards where our good friend Justin Standley will be performing. Justin will be back at the Marton Festival in January 2017 so make sure you don’t miss it. We will also see you there. No doubt it will be here before you know it. I can’t believe it is only 3 months until Christmas. Where has the year gone? Don’t forget we are also taking bookings for our 2017 Norfolk Island Country Music Festival Tour so be in quick to secure a place on the 1st flight. This will be our 10th anniversary tour and we have a fantastic week planned for everyone on our tour. Contact us or go to our web page for more info. Take care and keep on keeping it country. Just one gig for April but what a fantastic event it was. We were one of a number of acts invited by Geoff Mutton to perform on his Variety Charity Concert held at The Orchard Chapel in Te Puke on the 30th of April in aid of the local rescue helicopter which raised around $5000-00. An awesome line up of talent was gathered together by Geoff and his team which in my opinion treated the audience to one of the best shows that we have been involved with for a very long time. A very talented group of muso’s made up the backing band which consisted of Phil Reha on drums, Shane Reha on bass, Dion Hobson rhythm and lead, and musical director Michael Tipping lead and rhythm. Backing vocals were provided by Sharon MacIntyre and Ali Blue ever the professionals thank you ladies and thank you to a fantastic backing band, great work. Along with ourselves the full line up was MC Kylie Austin, Amelia Rose Tappin, dance group Lip Sync, Daniel Cosgrove, trio Cheyanne, Melissa and Chet O’Connell, Lance Murch, Georgia Baker-Trebilco, Keith Pereira, Lesley Nia Nia, Dennis August and John Fletcher. Thank you to everyone that supported this outstanding show. Also thank you to Evan and Pauline Andersen from The Beacon Motel for providing accommodation for ourselves and the other artists. It was very much appreciated. Geoff certainly has great support from the local community and it is well deserved. Due to a clash of dates sadly we were unable to attend the Bay of Islands Country Rock Festival this year. We apologize to all our fans and hope to see you all at next year’s festival. O n Saturday the 14th May we headed down to Auckland to meet up with some of our Norfolk Island tour group at the Heartlands Hotel where we had arranged a pre tour dinner get together. Our local The Toby Jug was under renovation so we had to settle for the Szimpla Gastro Bar which was more than adequate and everyone present had a great meal and a few laughs before take-off. Sunday morning we checked out and headed to the airport to meet the rest of our group, check our bags, iron out any problems and head through customs ready for our flight at 3:30pm and the beginning of our 9th tour to the Norfolk Island Country Music Festival. First thing on our agenda once everyone was settled into their accommodation at either the Aloha or Crown motels was our welcome dinner. We were again at the Leagues Club for a lovely buffet dinner which was followed by a special welcome concert arranged by club manager Kim Davies and featuring ourselves, Grant Reha – Timoti, Kylie Austin and local entertainers Kim and Bong. This was a great start to the country music week. Monday morning we had arranged a slightly different Island tour with help from Megan at Baunti Escapes. It was a mix of their Norfolk Today tour and places that we wanted our tour group to see. This included a drive down to Ball Bay where the fuel ships unload, a tour of Quality Row, Lone Pine Point and the Kingston Jetty then heading to the top of Mt Pitt where we were given a short talk by Craig from the Parks Department on the islands fauna and flora, then over to Cooks Memorial for lunch and time to enjoy the scenery of this amazing spot. Thanks to Chrissy and Bec’s for arranging an awesome lunch which was totally enjoyed by everyone. We then headed to Saint Barnabus Chapel for a short history lesson and a song or two from Annette and myself. From there it was back to our accommodation to get ready for the New Zealand Show case. We must thank Rachel and Eddie, our bus drivers, for their wonderful commentary during the day tour. They were both very knowledgeable and informative one of the best tours that we have had. The evening saw us at the Kiwi Showcase which again was very entertaining with appearances from MC Kylie Austin, Danielle Rigby, Chet and Melissa O,Connell, Neillyrich (Husband and wife duo expat kiwi Matthew McNeilly and his Aussie partner Amelia Richards), Phil Doublet and Headliner expat kiwi now residing in the USA Jackie Bristow ably supported by the Huckleberries and Echo in Harmony. Tuesday morning we were up early ready for the mini golf competition. Teams and team names had been selected prior to arrival and this year it was to be men verses ladies. Men’s teams were Foodlands Old Farts, RSL Rascals and League Club Legends. Women’s teams were Sweet Shop Sweeties, Cyclorama Mamas, Pete’s Place Pretties and Liquor Bond Beauties. Captains were chosen costumes fitted and the games commenced. Once again a lot of fun was had by all but in the end it was a clean sweep by the men 1st Rob Kay, 2nd Len Field, 3rd Des Fatt with the winning team being the Leagues Club Legends. Most golf played was Noeline Copedo, my mum. However mum redeemed herself (and the family name) by winning this year’s challenge which was to be photographed outside all the team name businesses which she did with the help of her traveling companion Ann Gordon aka Saint Ann. Tuesday evening before the Aussie Showcase Annette and I played our twilight gig for our good friend Terence Grubb at the RSL where we entertained island locals and tourist alike. Then it was off to the Australian Showcase to be entertained by Bennett, Bowtell & Urqhart ( Kevin Bennett, Lyn Bowtell & Felicity Urqhart),Luke O’Shea, Tanya Cornish ( 2015 TTEOY winner) with MC Matty Zarb and backed by Aussie band 4Play. Wednesday was a free day for the group where they could take in the sights of this beautiful pacific island or do some more shopping or just take time to rest up. Wednesday evening was the Trans-Tasman Entertainer of the Year Awards which saw five Kiwis and four Aussies vying for the title. There was a great variety of performers this year with any one of them capable of winning. This year however it went to Kiwi Kelvin Cummings. Congratulations Kelvin and well done to all the Kiwi performers; Phoebe Ball, Gina Keating, Tegan Reid and Zara Buckton. Thursday morning some of the crew had booked to go on a fishing trip with local wood turner and fisherman Darren Bates of Advance Fishing. It was a beautiful morning for fishing and on their return a large group had gathered to admire their catch and watch the feeding of the sharks as they filleted the fish. Check out the photos and videos. The day was once again free for the group to do their own thing until the Fish Fry at Puppy Point in the evening which was again one of the highlights of the tour even though it was a bit cloudy to see the sun setting but where else would you want to be anyway. Following the Fish Fry some of the group ventured out to Up Country to party the night away. Luckily they could sleep in on Friday morning. For some of us Friday was a full on day with the first stop being Culla and Co Clydesdale horse wagon ride with local identity Culla ( Elton Graham). This was another fantastic morning with these beautiful horses and humour and commentary from Culla himself and the magnificent views around the coastline of Norfolk Islands Steels Point area. There was no stopping for Annette and myself as we headed to the RSL with our tour group for our lunch time gig 12-2pm to once again entertain for the lunch time diners be they locals or tourists. We must thank Terence, Liz and the rest of the staff for the opportunity to sing at the RSL. Over the years we have built up a great friendship with Terence and many of the locals that come and listen to us at the RSL and it has always been a pleasure and a privilege to do so. We look forward to 2017 and entertaining you all again on our 10th anniversary tour. But the day wasn’t over yet. We had organized a farewell BBQ and sing along for our group at the Crown Motel and we had to get there to set up. A big thank you again to Chrissy and Rebecca for all their help arranging meat and salads for the evening and for the Crown for allowing us to use their departure lounge and BBQ. Also thank you to Karl, Brian and Des for cooking all the meat it was much appreciated. The night was finished off with a great sing along with cameo performances from Alan, Len, Peggy and Ken just to name a few before some of us took a well-earned rest and others once again headed to Up Country to party the rest of the night away. Saturday, basically the last day for us began with a free morning before all the Kiwis met at the Leagues Club for a wind down concert and a special performance from Award winner Kelvin Cummings. Saturday evening a few of us had booked the Night as a Convict dinner. This was one of the best ones we had been to for a long time with great entertainment from Commandant Lully, plus the lady convicts with a beautiful meal thrown in for good measure. On a sad note however we say goodbye to Jo and Wayne Greig who have decided that 2016 will be their last Country Music Festival after 21 years of attending the festivals. It has been a pleasure having you both with us. We have learnt so much from you both and hope to catch up in sunny Nelson sometime in the future. Thank you and God bless you both. Sunday morning was an early start as the first flight home departed 9:20am. Everyone was tired but happy and wishing that there could be another week on the Island as one week isn’t long enough to see or do everything that the Island has to offer. So maybe we will see some of you next year. If you would like to see our Norfolk Island 2016 photos click here. Don’t forget 2017 will be our 10th ANNIVERSARY TOUR. Des and Sharon are already saving for it so I am told as it will also be their 10th anniversary of touring with us to beautiful Norfolk Island. We have Registration of Interest Forms available now so just drop us a line if you would like one or look out for our 2017 TOUR PACKAGE coming soon. Until next time remember to take care and keep it country. February saw us off to Melbourne where we arrived early Monday morning on the 22nd. Our good friend Rod Mc Carthy was patiently waiting for us. We had been up since 2:30am for our 6:00am flight out of Auckland. Once Rod had located the car we piled in and headed for Kyneton where Rod and Margaret live. The weather was hot as we had been warned it would be, 40 degrees plus. Margaret was waiting for us when we arrived and we decided to take a stroll into town to do some grocery shopping and have a look around before we had some lunch. 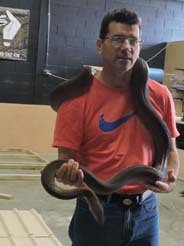 In the afternoon we popped over to see Rod and Margaret’s son, Sean, who is a professional snake handler. Check out the photos of us handling the snake and crocodile. Sean also has on hand scorpions and turrantula spiders but we didn’t handle those, no way. We had an early dinner as Rod and Margaret were heading over to Daylesford to their Set dancing class. Check out the photos of Rod, Margaret and Annette in action. On the journey back to Kyneton we spotted the largest mob of Kangaroo we had seen in all the times we had been coming to Aussie for the festivals. We got a great shot of a large buck squatting on his haunches watching our every move. On Tuesday morning after a good night’s sleep we hooked up the caravan and made our way up to Barham. We were booked in to the Colonial Motel which is run by Gary and Sally Harmon. What great hosts these two are. Only too glad to help us with anything we required. All we can say is fantastic job guys and the pool was wonderful. Totally recommend the Colonial Motel if you are ever in Barham. We had two days in which to relax and prepare for the festival and try to get used to the heat, we didn’t though. Did I mention that it was hot? The festival kicked off on Wednesday night with the Dance Night. This was the festivals meet and greet with entertainment by Craig Giles and Anthony Tenace. A fantastic night was had by all and a great way to start the festival. 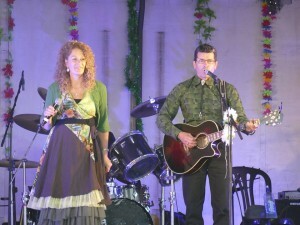 We were joined at the festival by fellow kiwis Dennis March and Craig and Katrina Adams. We looked forward to a great week of fun and dancing. Thursday night we were treated to an awesome show by Wayne Horsburgh ably supported by guitar virtuoso Bob Howe and Musical Director Greg Hooper. These guys were amazing and very professional. Singing old classic country tunes which everyone was singing along to. Other acts taking part in the festival included; JR Williams, Don Costa, Rene Diaz, expat kiwi Marie Hodson, Sharon Benjamin and it was nice to catch up with our very good friend Cameron Mason again. The Southern Cross band did and awesome job of backing all the acts during the festival and what a great bunch of guys. Thank you Johnny ( drums), Bartolo (Bass) and Anthony (Lead) hope to see you all again soon. Once again sound was professionally run by Anthony Tenace. Anthony is a top guy and we would personally like to thank him for all the help he has given us over the years. We hope to see him at the Bay of Islands Festival in the near future. Before we knew it the Finale was upon us and we were all saying our goodbyes. I’m not sure if the video of our finale skit has gone live yet. Keep an eye out for it. We had a ball doing it with the help of Raggerty Peter and Raggerty Robyn. Thank you both for being such great sports. We hope to see everyone again in 2017 as we have made some truly great friends over the years and we thank you for your continued support. It is very much appreciated. We finished off the festival by performing for the Monday Madness. I didn’t win a prize in the raffles again this year. I had my eye on a very nice fishing rod. Our Aussie dad, Dale, had driven across from Adelaide to spend the week with us and once we had finished the Monday Madness we were heading back to Adelaide for a few days R’n’R. This was to be done via Mildura. We headed up the river Monday arvo stopping along the way at Tooleybuc to check out the RSL, a quick stop at Boundary Bend to view the river and wild life and an overnight stop at an awesome camping ground on the banks of the Murray River in Robinsvale. What a fantastic little place it is also the site of arguably the largest windmill in the Southern hemisphere. Check out the photos. On the drive up we spotted all kinds of wildlife; Emu, Kookaburra, Kangaroos, Wallabies, Cockatoo, Willy Wag Tails and Pelicans, so many Pelicans. Tuesday morning we left Robinsvale heading for Mildura arriving around lunch time. On the way in we spotted the paddle steamer “Melbourne” chugging up the river so we stopped at the jetty to get a closer look at this majestic old boat. What an awesome sight. Following lunch it was decided that we should see the Mildura area by air. 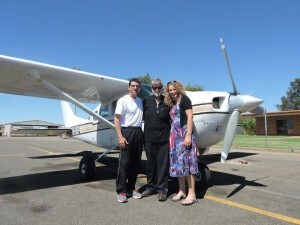 So we headed to Mildura airport and caught up with our pilot Larry Pearson of “Pearson Aviation”. Larry took us on an amazing flight over the Mildura region. Over the Chaffey brothers original pumping station and the site of the first irrigation system constructed in Australia, weirs and locks along the Murray River and over Wentworth where the Darling and Murray Rivers converge. Check out the photos. We then headed to Renmark where we stopped to take a look through the Olivewood property and Charles Chaffey Centre which is the site of the Chaffey Brothers Renmark home built in 1889, the museum and the site of the first olive trees planted in the area over 100 years ago. With time getting on we made our way into Adelaide arriving in the evening tired but happy and with a couple of days ahead to chill out. Thursday night we ventured out to the Fringe Festival and the Garden of Unearthly Delights in the city centre and decided among other things to attend the Freak Show. Check out those photos. On Friday night Dale had booked tickets for us to see Adam Brand and The Outlaws, Drew McAlister, Travis Collins, Matt Cornell and Mike Carr, who were playing in Hahndorf a cool little German settlement not far out of Adelaide. They put on an awesome show playing some classic country and rock songs. The Hahndorf Old Mill Hotel also put on a very nice buffet meal beforehand. It was a fantastic night. We were up early Saturday morning to catch a couple of races at the Clipsal 500 motor racing. We were prepared this time with ear plugs, sun block and water as it was forecast to be around 39 – 40 degrees. We checked out a couple of the car displays which they had on course. One was the “Cars from the Screen” which included two Bat Mobiles, a General Lee Charger, Herbie VW Beetle, a Back to the Future Dalorian and the Monkees wagon plus many more. The other display was Ford and Holden’s through the years which included Capris, Torana’s, Falcons and Commodores. We also checked out some of the stalls on site and picked up a few souvenirs. By mid afternoon we were done and set off for home looking forward to a lovely dip in the pool to cool down. We had had a wonderful 2 weeks in Aussie but unfortunately it had to come to an end and on Sunday 6th March we said our goodbyes with hugs and tears and flew out of Adelaide heading for home. On into March and on the 18th we travelled down to Mt Maunganui to entertain at the RSA. This was our first gig at an RSA in this part of the country and we were both very impressed with the whole set up. We were warmly welcomed into the club and the atmosphere was so friendly. This is a very well run RSA. We had a great night on Friday evening with many familiar faces showing up to support us. It was also nice to catch up with Ray and Esther Solomon. Ray was performing at the club on the Saturday night so we managed to pop along to enjoy some wonderful entertainment and do some dancing. Great music Ray and Ollie. We also caught up with friends Elva, George and Jill and Di and Charley. On Sunday we entertained for the Mt Maunganui RSA’s Women’s Section’s 63rd birthday which was the main reason for our trip down. A great afternoon was had by all those attending the celebrations. Thank you Kieran for inviting us to perform for you all we had a fantastic afternoon. By 4 o’clock we were packed up and heading home arriving back in Whangarei at around 10 o’clock. And that folks was February and March. Not many gigs but a lot of travel. 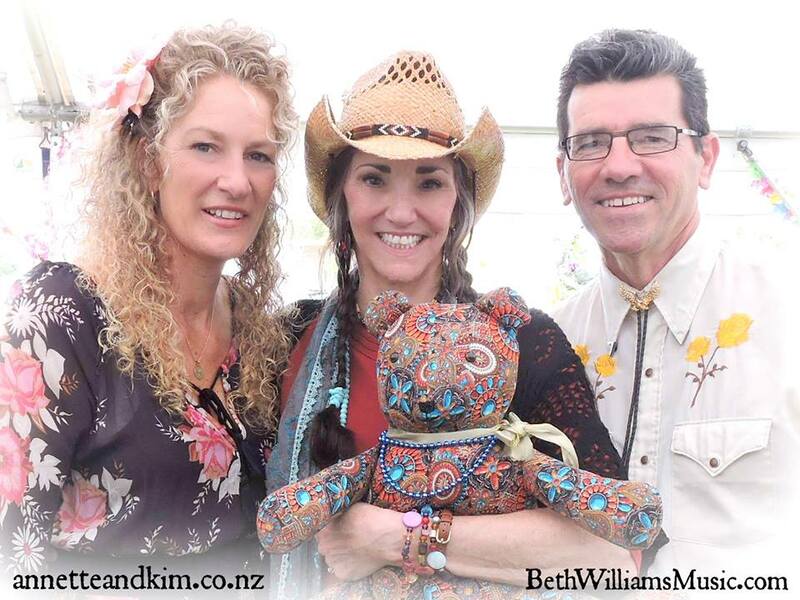 We will be traveling once again in April as we are off down to Te Puke on Saturday the 30th to be a part of Geoff Mutton’s Charity Variety Concert to be held at The Orchard Chapel on 3 Mile Rd Te Puke so keep an eye out for details about that. Once again take care and keep it country. Catch you somewhere soon. Welcome to 2016. We have had an awesome start to the new year. We kicked it off on the 9th of January with a special birthday celebration for our friend Val Flexman organised by her husband Stuart at their bach at Ohawini Bay at Oakura. We had an awesome evening with their family and friends celebrating with Val and Stuart. Thank you both for your wonderful hospitality. We had a great evening. On Sunday the 10th we had our first afternoon show with our good friend Alan Webster at the Whangarei RSA. Thank you to everyone that turned out so early in the year to enjoy an afternoon of country music. Thanks also to everyone that helped us out on the day and to the Whangarei RSA for looking after us all with food and refreshments. Alan is a fantastic Australian entertainer that everyone appreciated very much. We had also arranged for Alan to join us at the Kamo Club on the Wednesday evening for a special dance Section show and one of the biggest turn outs for a Wednesday evening they have ever had. I don’t think anyone was disappointed with either show especially with a special performance by Alan and Maureen’s granddaughter Melody, who is an outstanding young performer, at both the RSA and Kamo Club. Well done Melody. We look forward to working with Alan again sometime in the future. It was also nice to catch up with Alan’s wife, Maureen, again and to also meet his son and daughter-in-law. Hope you all had a great time seeing the sights of Whangarei and Northland. The following Friday we had to head down to Marton for the three day country music festival run by Ann and Len George and their team of helpers. Once again it was one of their most successful festivals to date with over four hundred mobile homes arriving for the weekend. Friday night and Saturday nights shows were a huge success. 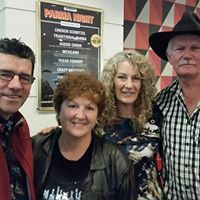 Performing on Friday night were Lynn Putt, Carylann Martin, Kem Wairau, The Australian country gentleman Alan Webster and NZ country music icons Brendan Dugan and Dennis Marsh ably supported by the band Pheonix. Saturday night saw Annette and I sharing the stage with Reg McTaggart, Roberta Campbell, Keith Herbert, Peter Jackson ( fresh from filming another blockbuster) no not that one, Joy Adams, Craig Adams, Kylie Austin, Mae Valley ( Hannah and Abie ) newly signed with Sony ( congratulations ladies) and the headliner, all the way from Australia, the amazingly talented Justin Standley. Again supported by the fabulous band , Shotgun, lead as always by Derek Evans who sadly has called it a day as part of the backing band for the festival. Thank you Derek and lynn for your support for so many years. No doubt we will catch with you both somewhere in the country music arena. Wow, what a great weekend had by all the artists and audience. Scorching weather, lots of watermelons and ice cream sold and bottles and bottles of water consumed by at least 3000 people during the 3 days. It was great to catch up with so many familiar faces again and wonderful to see Ken and Elaine Foster travel all the way down from my home town Dargaville. Also a nice touch by Ann to remember all those that could not be with us this year. Thank you Ann and Len (and the Team ) for another amazing weekend. We look forward in anticipation to next year. By the time you all see this it will be February and we will most likely be in Barham NSW where we are looking forward to a great week of country music and dancing and catching up with all our Aussie friends. Until next time take care and keep it country. 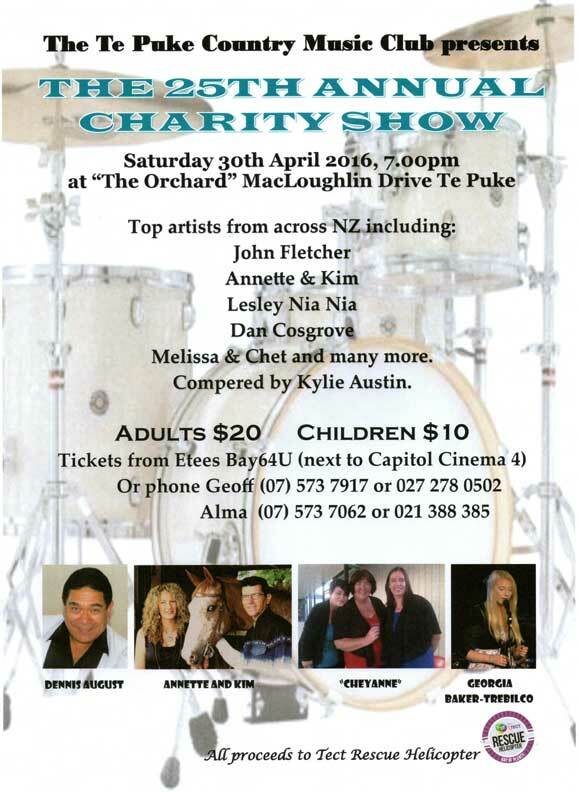 Before we venture into November / December news we must mention the Ruatangata hall fundraiser on October 31st. There was a good turnout of locals who enjoyed a very successful show put on by local talent. The acts included a dance performance by Grace, a saxophone solo by Matt, piano playing and sing along by Tim Hempleman, a solo performance by Monica Nance with musical interludes by Annette and myself. It was a great evening with everyone getting into the spirit and supporting the raffles which raised a good amount of money for the hall account. 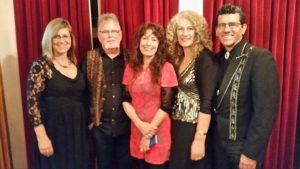 The next day, November 1st, we were guest artists at the Northern Wairoa Country Music Club. This was also a great afternoon and we would like to thank Margaret, Ken, the band and committee for asking us to perform. The Northern Wairoa club was the first club that I was a member of and I can remember winning the “Most Improved Vocalist” trophy in 1976, which I still have. It was great to see a variety of artists performing and we look forward to returning in the future. On the 14th of November we were back in Balclutha for our 2nd visit. We had a great night and it was awesome to catch up with so many people that are supporting our music in the South Island. Thanks to Ngarita, Kevin, James and all their helpers also South Otago Town and Country Club, the Balclutha Country Music Club and Graeme at Radio Dunedin for all your support as well. Your southern hospitality was fantastic and we look forward to a future visit. We would also like to congratulate our very good friends, Queenie Ututoanga and Len Field, on their wedding on the 28th November. Sorry we could not celebrate with you but we wish you both all the very best for your future together and look forward to catching up with you both sometime soon. Sadly, also in November we lost our dear friend and Aussie mum Barb Goldsmith. We will never forget her and feel blessed to have had Barb in our lives. As we head into the festive season it is with reflection on the year that has been and anticipation on the year ahead of us. We were once again at the Kamo Club Dance Section’s Xmas breakup. We always enjoy performing for these guys and this year was no exception. Quite a group of them will be joining us on Norfolk Is next year and we are definitely looking forward to that. Don’t forget we will be back at the Kamo Club on Wednesday the 13th of January with special guest Allan Webster direct from Australia via Aranga from 7:30pm till 10pm. This will be a great night. Last Friday, 11th December, we finished our final gig for the year at the Whangarei RSA. There was a great turnout and everyone had a fantastic night and were still dancing the night away at the end of the night. Thank you to everyone that supported us on the night and to everyone that has supported us during the year. We really do appreciate it. 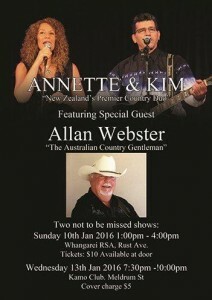 Don’t forget also that we will be at the RSA on Sunday the 10th January to do a concert with Allan Webster from 1:00pm – 4pm. Don’t miss these two great shows. That’s about it for the 2015 folks. Please take care of yourselves over the Christmas break and we look forward to seeing you all in the New Year. Thank you to everyone that supported our Dargavllle concert on the 12th of September. It was a big day with a good sized audience turning out to enjoy an afternoon with ourselves and The Mountain Mist Band. Thanks to Dennis and Mort for providing the sound and to everyone that helped set up and pack down the hall for us. Your help was very much appreciated. Greta to see familiar faces enjoying the music. We will be back in Dargaville on Sunday the 1st of November as guest artists for the Northern Wairoa Country Music Club. So come along and join us we are looking forward to a great afternoon. October was a busy month for us. We were at the Kamo Club on the 3rd of October for a Saturday night gig. We have quite a few members from the dance section joining us on our Norfolk Island Tour in 2016 and we know they like to enjoy themselves. We have a great week organized for everyone and have nearly reached our target for numbers so if you would like to join us as well please contact us asap. We would hate you to miss out on an awesome week of fun and country music. We will be back at the Kamo Club in early December for the Dance Section Xmas break up. On the 10th we entertained at the Dargaville Lions 50th birthday celebrations held at the Lighthouse restaurant at the Dargaville Museum. It was almost like a reunion as well with past members attending from out of town. Awards were presented with two for fifty years of service, one including 100% meeting attendance during those fifty years. Thank you to the Lions Club for asking us to perform. We had an awesome night. The following Wednesday we were at the Whangarei RSA celebrating the Women’s Sections 70th birthday. Another awesome afternoon of speeches, presentations, fun and music. Congratulations to both the Lions Club and the Women’s section for their achievements. We will be back at the RSA on Friday the 11th of December. Wow, is the end of the year that close. Before then we are looking forward to our second visit to Balclutha on the 14th of November. We had a great time in March this year at the Town and Country Club in Balclutha and look forward to catching up with Ngarita, Kevin and crew. We have a short break over Christmas but then look out for us in the New Year as we will be doing two shows with our good friend Allan Webster from Australia. The first will be at Whangarei RSA on Sunday 10th January from 1pm – 4pm and the second on Wednesday 13th January for the Kamo Club dance Section 7:30pm – 10pm. From there we all head south to the Marton Country Music Festival. So check out our show page on our web site to see if we will be at a venue near you. Until then take care and keep it country. Thank you for purchasing a CD by Annette and Kim. This will sent out to you shortly.